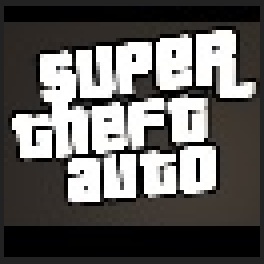 I have version 0.5c of ‘Super Theft Auto’ now available for public testing/playing/things. The game is my take on having a game like GTA2 on the NES (or at least a 3D Funkytron console) I havent really kept as close to the NES specs as I would have liked, but I think its turning out ok so far, its been a lot of fun to work on if anything. Theres not much to the gameplay. I still need to add some major features in. 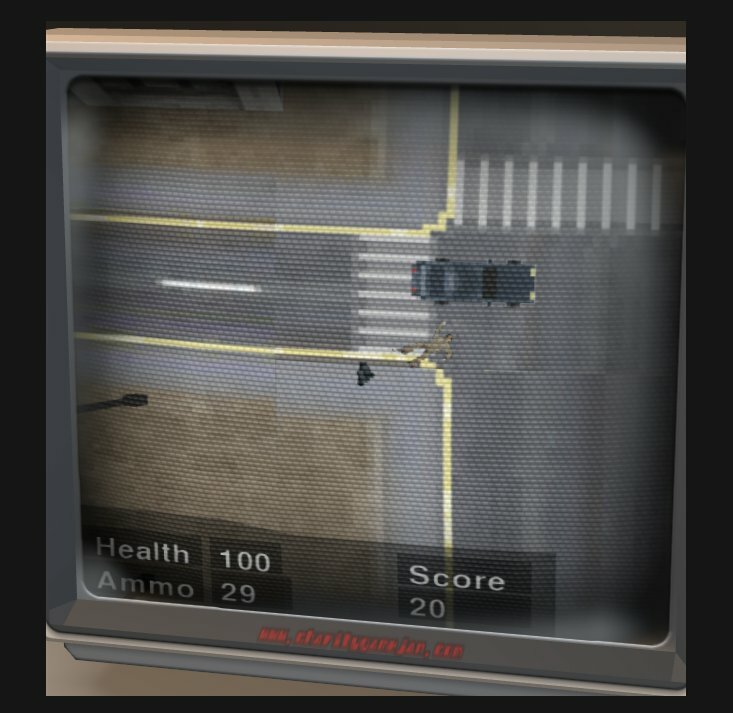 But theres some initial pedestrians now, a title screen, various other much needed improvements – I can see this actually being a game sometime in the near future. 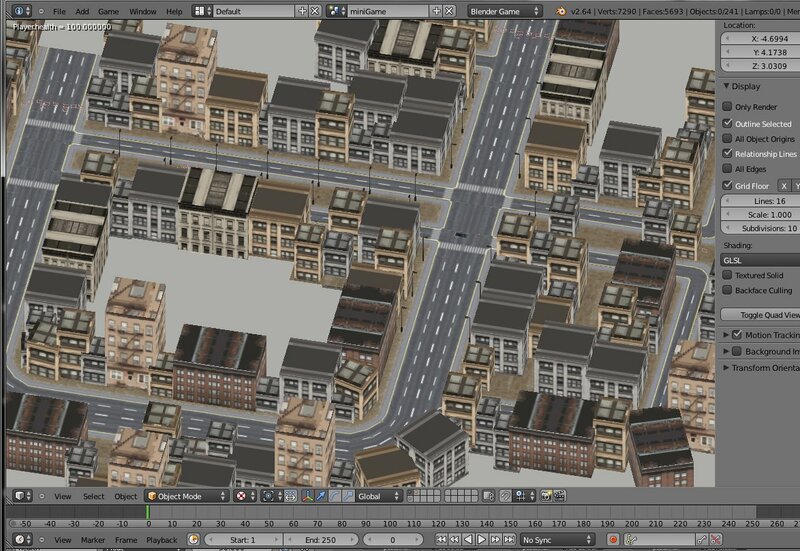 I really need to add the car system in though, the map is quite large (spent too much time working on that tonight). Its too much to explore fully on foot. Youll need to install the ‘Burster’ web plugin to use it (unfortunately Mac is not supported), but Linix and Windows (64&32bit) will both run it fine. The plugin is a ~26mb download, and is easy to install. 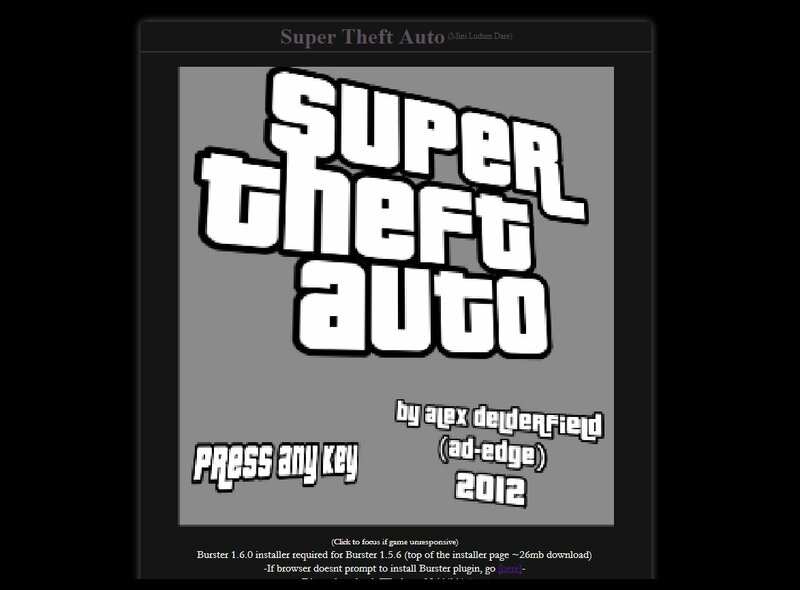 Theres instructions & links to download it on the page I made for the game. Feedback would be great, I know theres not much of a game, but Ill take any crits or suggestions. Also knowing if the Burster plugin install is a smooth process for you would be great as well. 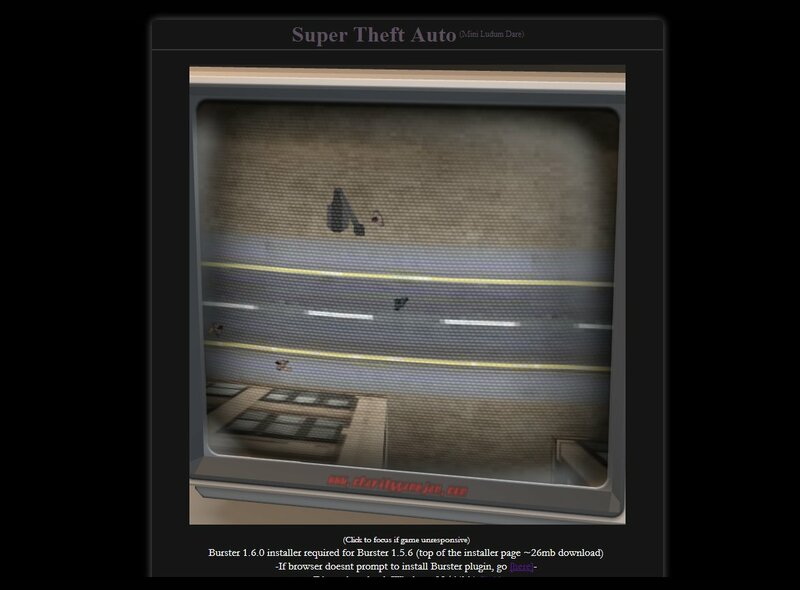 I hate having to install a plugin to play a game as much as the next person, but Ive tried to make the page as helpful as possible. Anyway, its past 2am where I live, and Ive been running on 2-3 hours sleep all day (was a bit night saturday night). Im starting to see random flickers/objects in my vision, so a good indicator to get sleep I believe! Plus programming in this state is so slow and frustrating Id be better off sleeping. Im not sure how much Ill be able to get done in the final hours tomorrow, but I hope to at least implement a few more crucial features (like death and a points systems) – We will see!